Tags: algorithms · bias · fairness · trust · unbiasNo Comments. Tags: cancer awareness · Haiti · inspiring usesNo Comments. I’ve just completed a personal project in collaboration with my daughter Clara – Phantom Tomes, a book of imaginary titles cunningly reworked onto Victorian book covers sourced from the British Library‘s wonderful digital collection of public domain images. The book invites its readers to elaborate on the book titles by imagining their own publisher’s “blurb” or writing a review of the imaginary book. Each book cover has a blank page beside it purposefully for this storymaking task. As ever, the project is intended to inspire others to build upon our work and create their own versions of the activity, devising their own titles, covers and use of bookleteer as a simple and convenient way to share their creativity. The titles are much inspired by the fantastic works of Edward Gorey and by long and venerable tradition of fictional books imagined by some of literature’s greats: Laurence Sterne, Jorge Luis Borges, Ursula LeGuin, Umberto Eco, Italo Calvino, Georges Perec & Stanislav Lem among many others. Tags: British Library · collaboration · fictional books · inspiring uses · Phantom TomesNo Comments. With many apologies for the long disruption from being able to generate new eBooks and StoryCubes, I am hugely pleased to announce that bookleteer is fully operational once more. An unplanned server upgrade caused a cascade of problems deep in the core of the Generator, the software that does the actual hard work of taking your content and flowing it into the Diffusion eBook and StoryCube formats. It has taken considerable efforts by Joe Flintham, bookleteer’s principal developer with the forensic brilliance of Yasir Assam, bookleteer’s original software developer, to analyse the root problem, fix it then chase down all the ensuing changes in dependencies. Tags: news · updatesNo Comments. Recently I came across Smallpdf – a web service dedicated to all things PDF. They have a range of services which simplify creating PDFs, extracting them, manipulating them and compressing them. The service is free and very fast – and a worthy companion for anyone who struggles with compressing PDF files to a small size (without degrading image quality for print), merging PDF documents or extracting PDF pages. It has a very simple menu, doing what it says on the tin. Highly recommended for all bookleteers out there. Tags: help · PDF · resourcesNo Comments. Tags: libraries · librarypress · Reite · the periodical · tk reite notebooks · TKRNNo Comments. 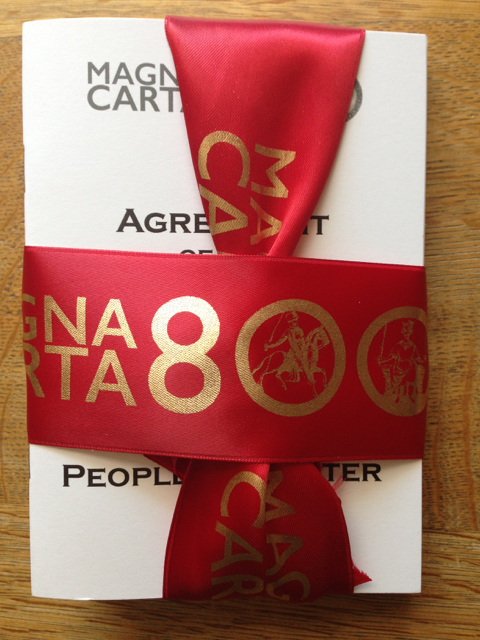 June 2015 was the 800th anniversary of the signing of the Magna Carta – considered by many to be the keystone to Britain’s constitutional and democracy. 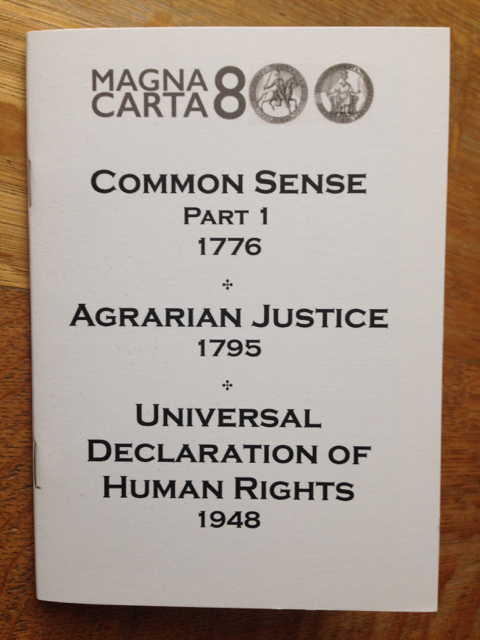 To celebrate and see the impact this document has had, over six months in 2015 I published a series of 6 books, each containing several texts from across the centuries that have been inspired by the Magna Carta. From the English Civil War era, to the French and American Bills of Rights in the late 1700s, the Chartists of the 1830s though to the Universal Declaration of Human Rights, Charter88 and the Charter of Fundamental Rights of the European Union of 2000. 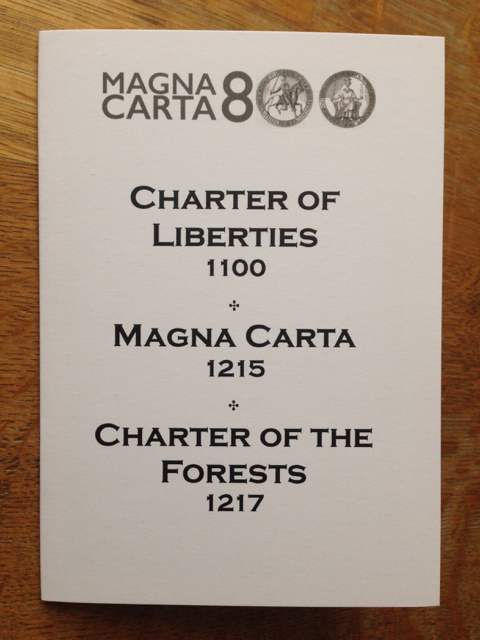 The final book in series contains Henry I’s Charter of Liberties (1100) on which the Magna Carta itself is based, the original 1215 Magna Carta and the Charter of the Forests of 1217. Originally distributed to subscribers of the Periodical there are 35 sets remaining, each of which has been bound together with red satin ribbon in a special edition. Each set costs £15 plus postage and packing: buy your’s here. 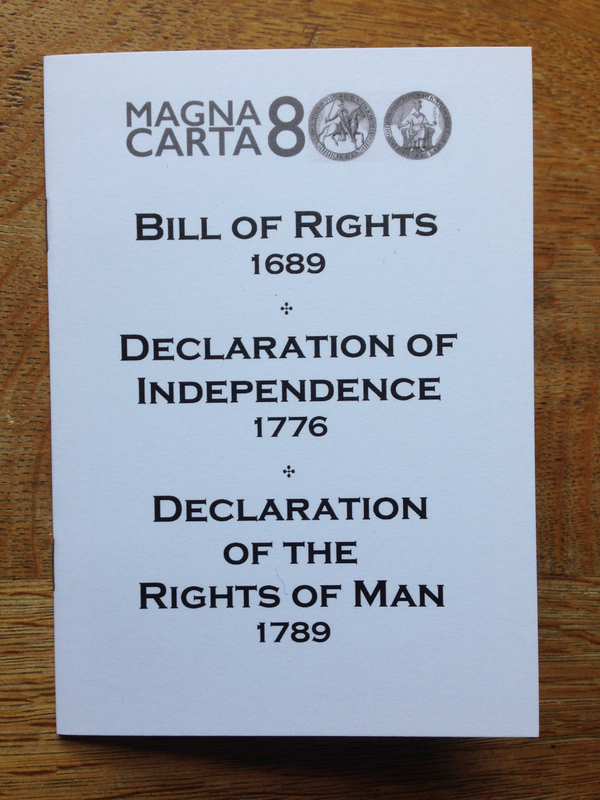 Tags: Bill of Rights · bookleteer · charter of liberties · charter of the forests · Charter88 · magna carta · the periodical · UDHRNo Comments. 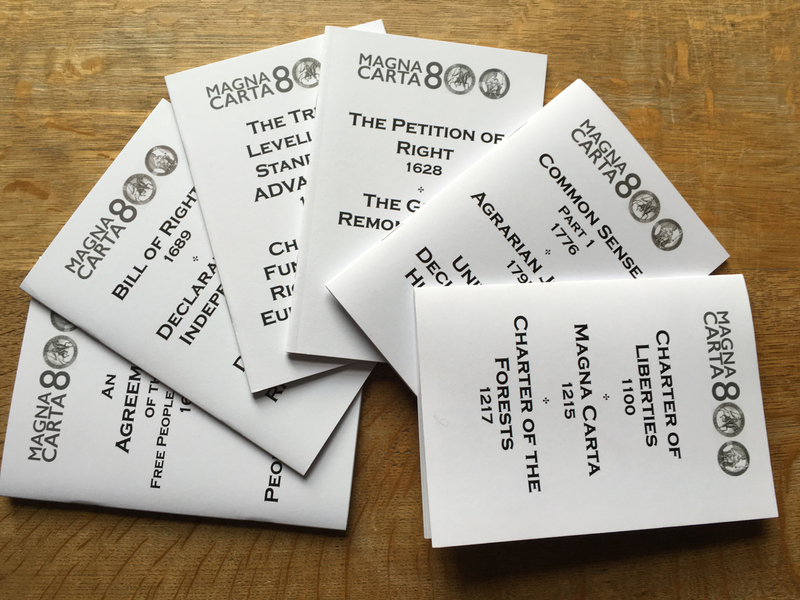 Tags: charter of liberties · charter of the forest · Human Rights · magna cartaNo Comments. May’s issue (no. 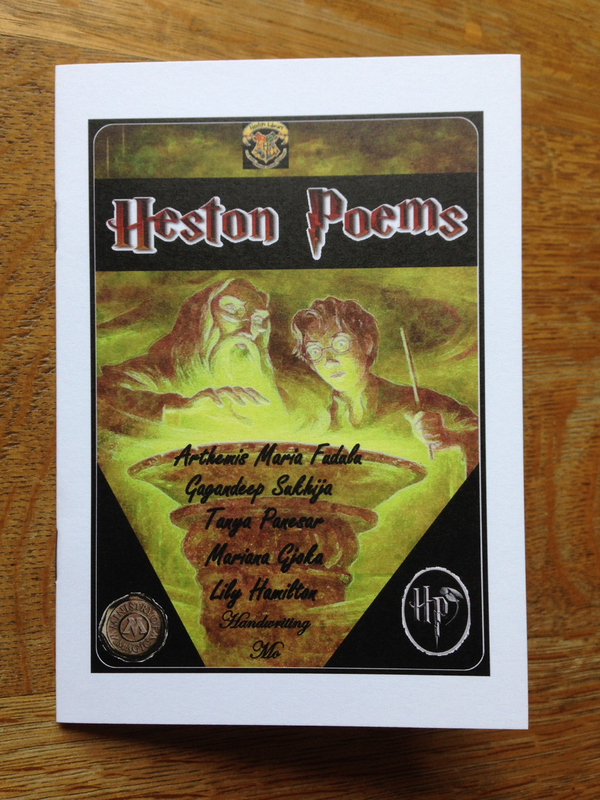 32) contains the penultimate book in my series celebrating the 800th anniversary of Magna Carta. Thomas Paine’s pamphlets Common Sense and Agrarian Justice are part of his remarkable legacy of revolutionary, communitarian ideas. Reviled in his own day, the ideas contained in these texts such as the pension and basic income are as relevant today as they were radical then. Challenging both hereditary privilege to govern and ownership of land as pernicious perversions of natural law, Paine calls for systems of amelioration (rather than confiscation) to be established to recompense those born outside of privilege. His is a radical, yet nonviolent call for a revolution that seeks to benefit all, regardless of the station they were born to. It seems fitting then to place alongside them the Universal Declaration of Human Rights, which I believe Paine would have approved of. A landmark achievement and a direct descendant of Magna Carta, it is part of the Post War Settlement which established in law in many countries, the inherent rights of individual human beings. As we grapple with the erosion of the Welfare State and national sovereignty in favour of corporations, the global rise in inequality, religious intolerance, state surveillance, suspension of civil liberties and other egregious acts, we do well to hold it dear, and fast. Tags: Agrarian Justice · Common Sense · Human Rights · Thomas Paine · UDHRNo Comments. 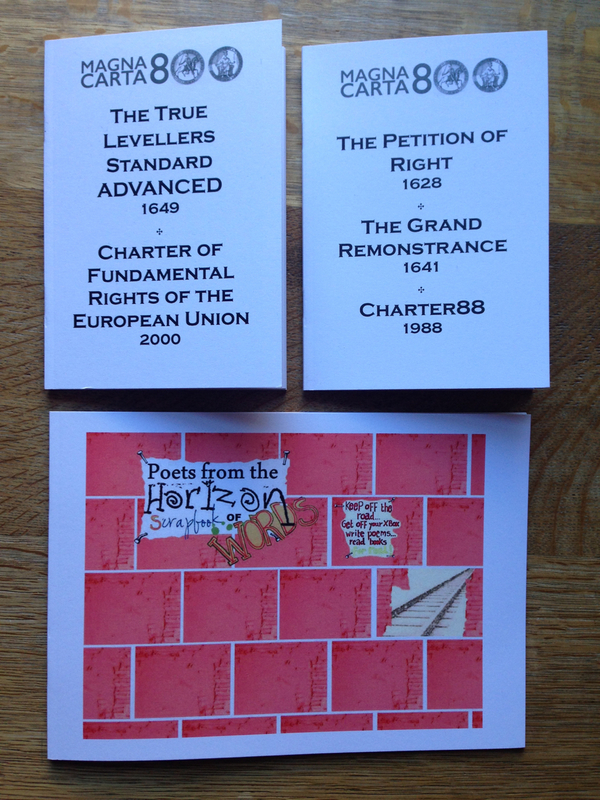 Tags: Charter88 · diggers · Gerard Winstanley · Grand Remonstrance · levellers · magna carta · new horizons youth centre · Petition of RightNo Comments. Tags: folding instructions · guides · help · indigenous public authoring · PNG · public authoring · Reite · Tok PisinNo Comments. Tags: Bill of Rights · Declaration of Independence · Declaration of the Rights of Man · Heston Creative Writing Group · Hounslow LibrariesNo Comments.